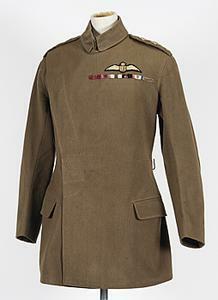 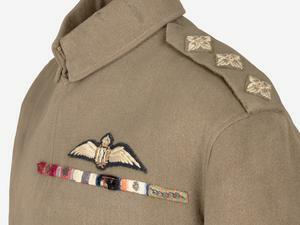 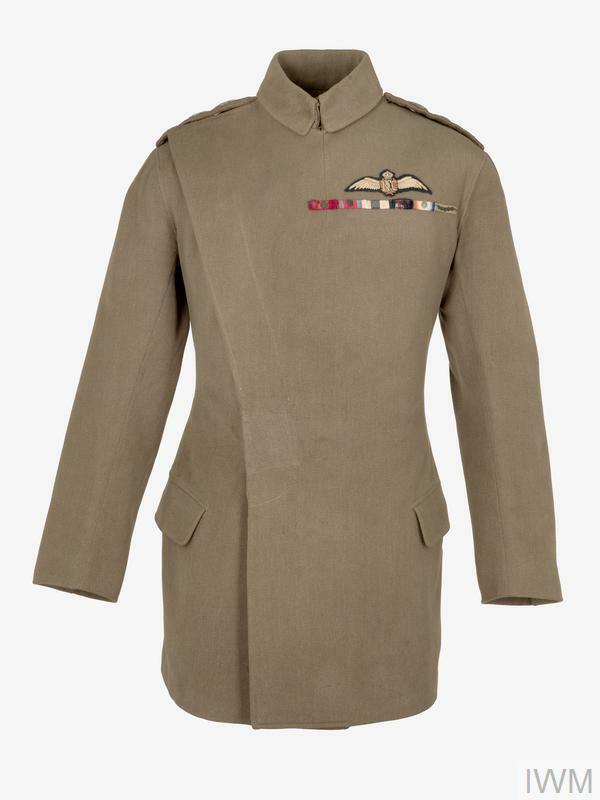 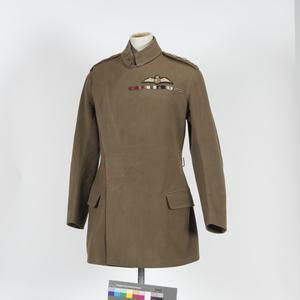 Worn by Captain (later Major) James McCudden. 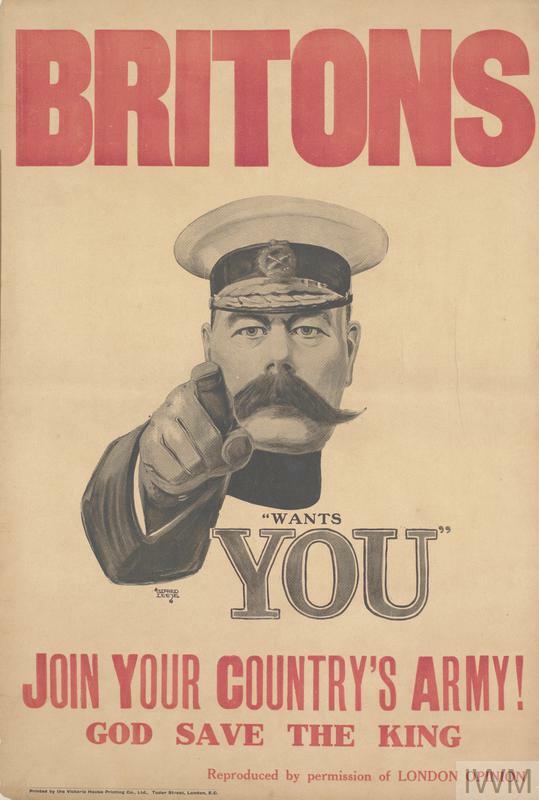 It bears the the ribbons of the Victoria Cross, Distinguished Service Order and Bar, Military Cross and Bar, Military Medal and French Croix de Guerre. 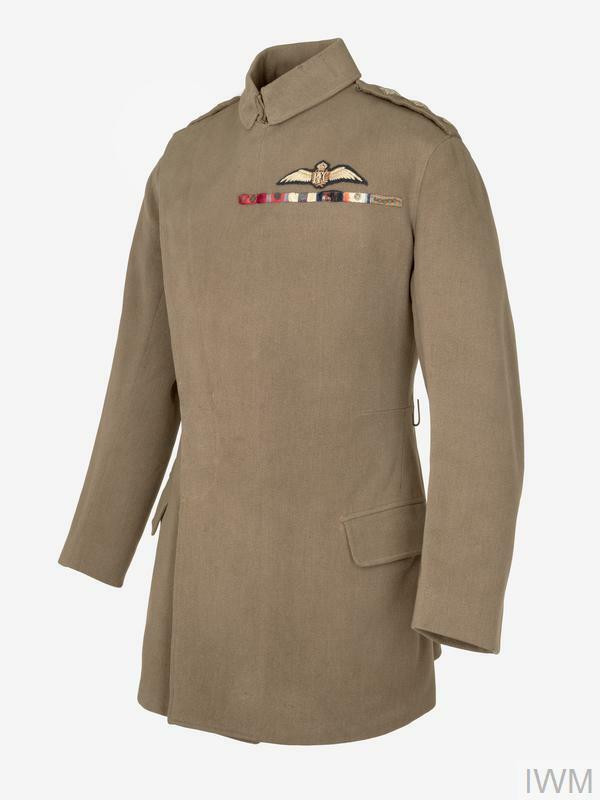 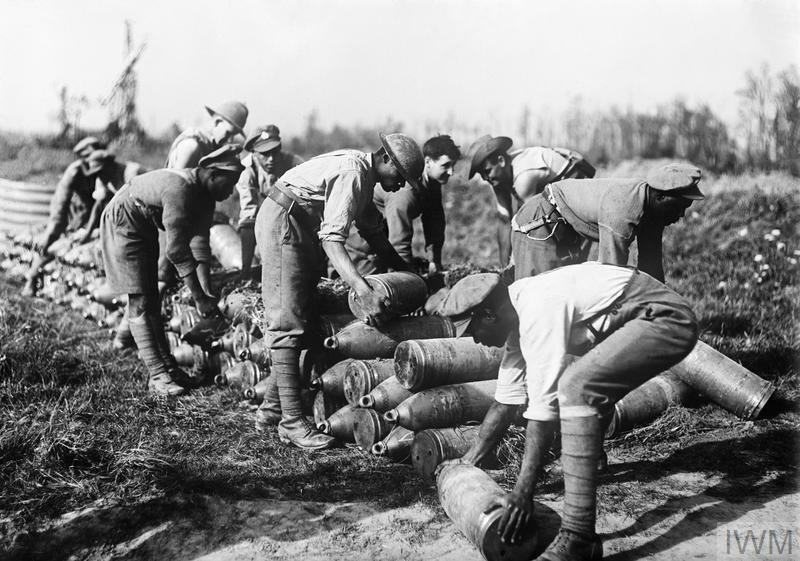 McCudden was awarded the VC in April 1918 in recognition of a long fighting career in the RFC during which he shot down 57 aircraft.